Rock of Ages played its last performance on January 18, 2015. Rock of Ages is a tour through 80s music nostalgia with hit songs like “Don’t Stop Believing,” “Every Rose Has Its Thorn,” “Here I Go Again,” and “Sister Christian.” An LA rock haven is in danger of closing its doors when German developers try to buy up the Sunset Strip. 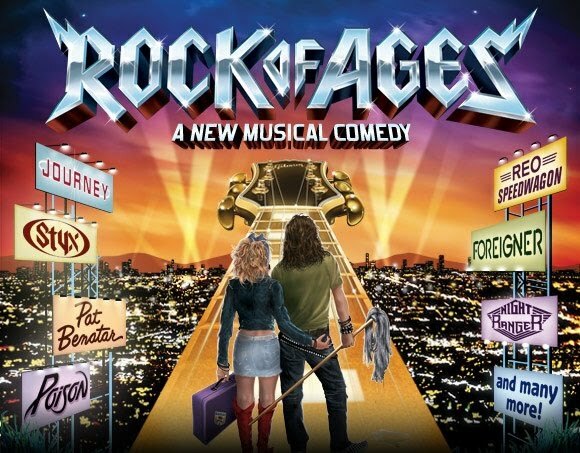 With a cast of characters including an aspiring musician, a waitress with dreams of acting, and a rock legend, Rock of Ages is far from the typical Broadway show, encouraging the audience to raise their lighters and throw back a few shots. Student Rush Tickets – $37 tickets are available to students with a valid student ID. Up to 2 tickets per ticket purchaser, cash only.